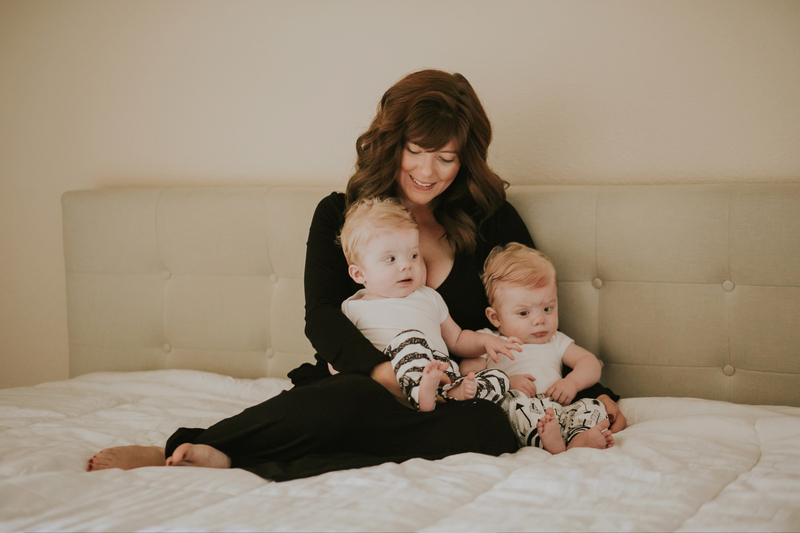 DockATot sent me this to review for you guys, you’ll be able to pick one up for yourself on their website! Click here to receive $10 off! I’ll start out with a little story; our fifth baby is a very light sleeper, he has a hard time going down for a nap or to bed for the night. I feel as though we really have to switch up his sleeping routine nightly and rotate out our arrangement in order for him to sleep peacefully. 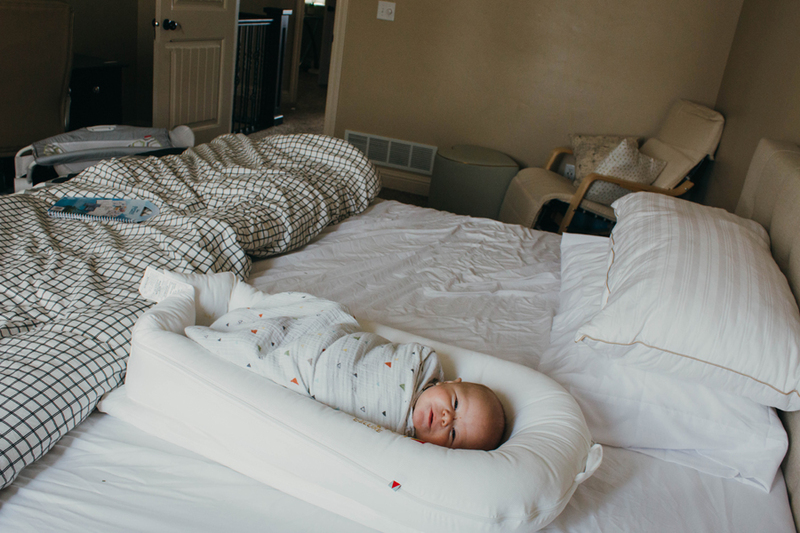 We received the DockATot a few weeks ago and I wanted to be sure he loved it before posting this review. 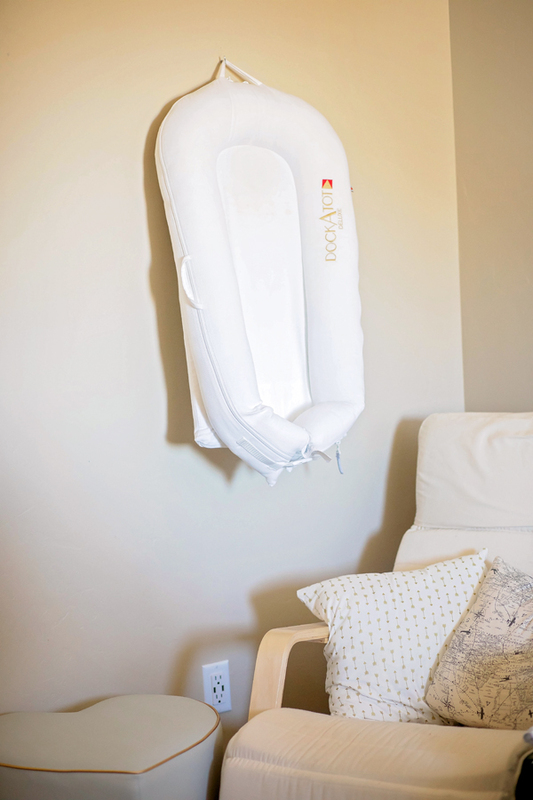 I have nothing but great things to say about this product, I think it is the perfect addition to my home and our sleeping style. My little guy loves to lay on his tummy in the warm sun during the day and because I’m within an arm’s reach at all times, I know that he is safe because the material is very breathable. 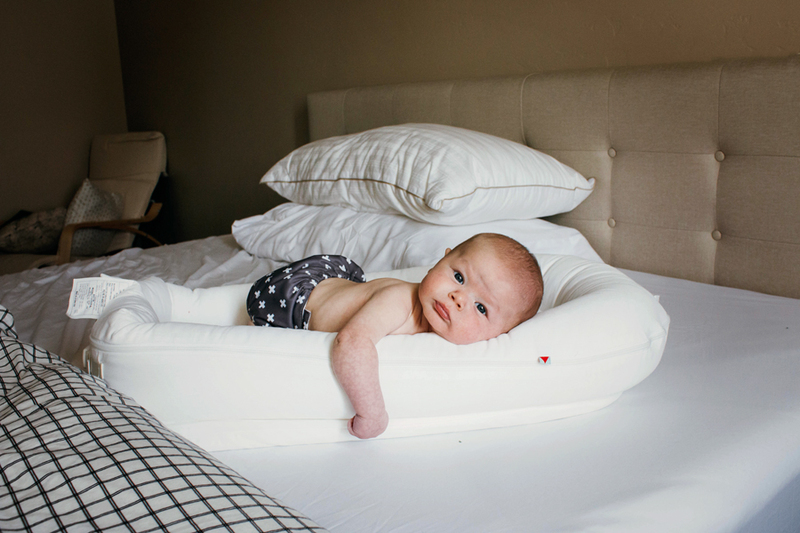 We have the DockATot Deluxe which he will use until around 8 months of age. From that point, he will transition to the Grand which is for babies up to 36 months! 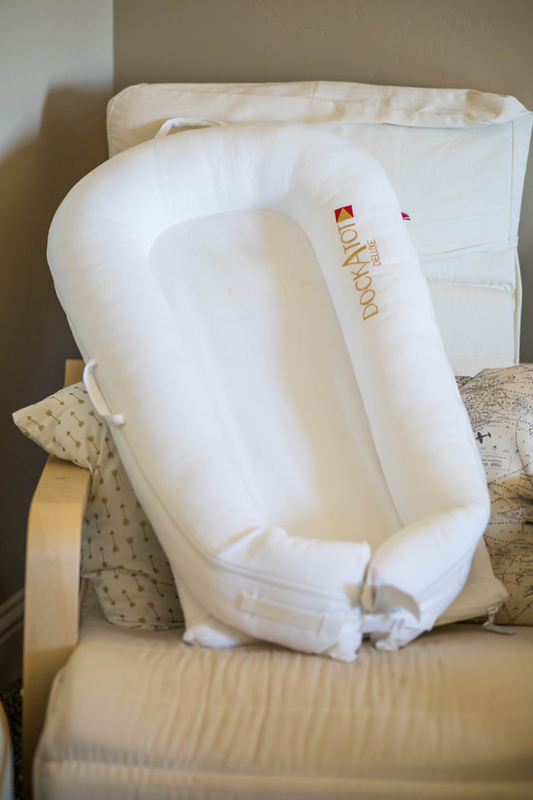 I love sleeping with the DockATot Deluxe next to me, I feel like that is the safest sleeping arrangement for baby and it’s comfortable. Our son doesn’t seem to move a whole lot while sleeping at night and even if he did, there is still that breathable material. We will be traveling next week and it is my fear that the beds won’t be as large as my own at home. Luckily we can bring our Dock with us and it can be used on the floor as well. 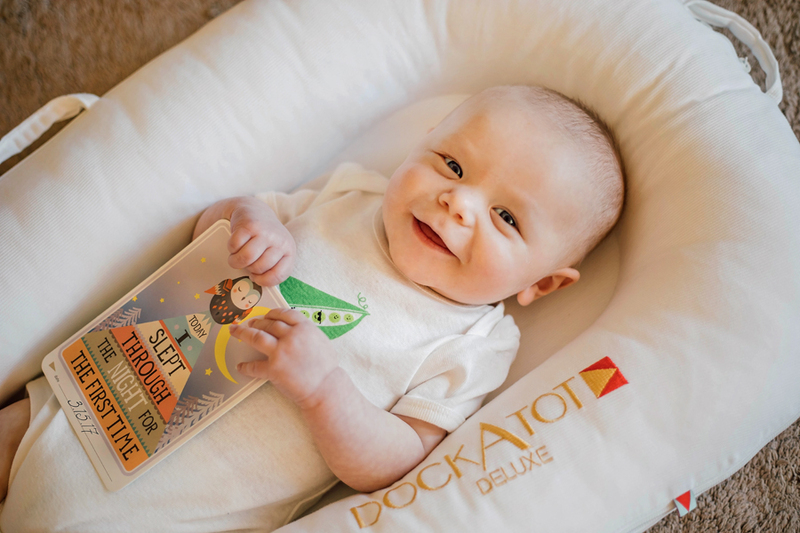 I really just love seeing my son so happy, the second we put him in the DockATot, he smiles from ear to ear. He is always so comfortable and happy and really, what more can a mother ask for? The white stayed white and it looks brand new again! This is a great product, I think it is something that all parents should look into. Some have complained that the price is too high however, I feel that you cannot put a price on a good night’s sleep. Also, if you compare this to a bassinet, you can’t use those past a certain milestone (rolling over) and for me, that milestone is surpassed at 4 months with most of ours so to spend $70 on something like that, it seems crazy.